Apple analyst Ming-Chi Kuo has already confirmed Apple’s plans for a total of three new iPhone models in 2018 and an updated pair of AirPods. But thanks to his latest research note, various details surrounding the upcoming iPad and Apple Watch series’ have been revealed. 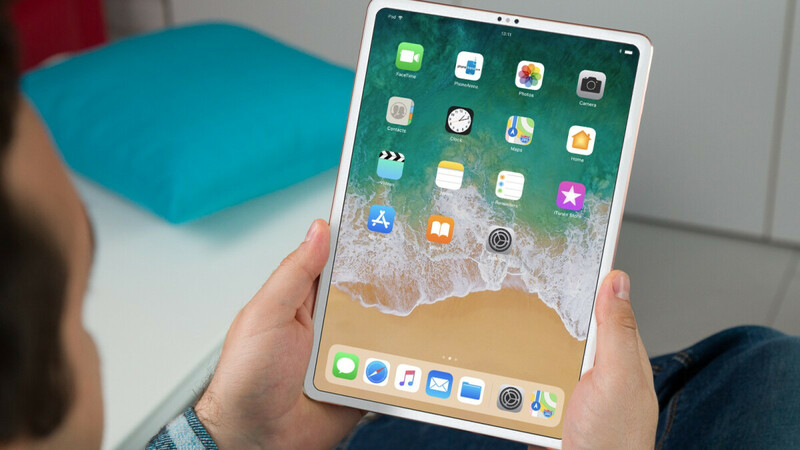 Starting off with Apple’s tablet line, the report once again affirms that Face ID will be coming to the new iPad Pro line. Additionally, it’s confirmed that the two new models look set to adopt a refreshed design that will see the removal of the physical home button, which suggests a significant reduction in bezel size is to be expected. This, in the case of the larger model, should translate into smaller dimensions due to the fact that it will retain the same 12.9-inch display. Interestingly, however, when it comes to the smaller model, this will not be the case. See, instead of reducing the overall size of the tablet, it appears Apple has opted to simply increase the display diagonal by 0.5-inches to a total of 11-inches, resulting in the second increase for the smaller model since its debut – the original model launched with a 9.7-inch panel back in 2016. Moving on to the Apple Watch, Kuo is once again confirming previous claims of larger display sizes, although the exact sizes are now specified: 1.57-inches for the smaller model and 1.78-inches for the larger. For comparison, the current Apple Watch Series 3 is offered in 1.31-inch and 1.54-inch models. Overall, though, these changes are not expected to affect the overall size of the device. Also, it’s worth noting that big improvements to heart rate monitoring are said to be on the way. On one final note related to accessories, in addition to the updated AirPods, the research note also expects mass production of the AirPower wireless charger to commence in time for a launch alongside the 2018 iPhone lineup. Another busy year for Apple... For me... 7 Plus to XI Plus/Pro IPad 10.5 to iPad 11 AW Series 1 to Series 4 These will be my upgrades this year. For me the new pro 11 inch and the x plus 6.5. Both will keep for at least 3 years. Maybe 4. 6S to X Plus No iPad to Pro 11! Might look into the watches if there is a round version. Round smart watches are for old people. It may look cool in theory, but having a smart watch is similar to having a small smartphone. Ask youself, would you like it if your phone screen was round? Hell no! Besides, square watch faces makes a more compact watch. Microsoft can only dream of having loyal customers like you. Now that apple has addressed my 2 biggest concerns with iOS(lack of any sort of file management and 3rd party nav apps with CarPlay) I might jump on whatever the iPhone X replacement is and get a series 4 watch. Definately going to use my JOD upgrade to get the new iPad pro as well. No thanks. I like the fact that I can still sell my 2012 Mac Mini to stupidass Mac fans for MSRP. It would be nice if they were to come out with a new "mini" iPad. It's still sad that the iPad Mini 4 is still $400 when the latest iPad is only $350, and my Mini 2 is starting to have performance issues (even after resetting and latest updates). Why get an iPad Mini when an iPhone has 6.5 screen size vs. 7.9. Apple may even come out with a flodable smartphone that will be near the 8" range. An iPad mini 9" with super slim bezels would be great.... but Why the F*** is WhatsApp not available for iPads? Yep, I got the iPhone X this year, and would like a smart watch companion, but not getting the AW due to dorky design. Thinking about Samsung gear s - if it has enough functions with my iPhone X. Same rows of icons since 2007. Yawn.